Whether you’re planning a classic wedding or vintage lounge party, American Rent All is your prime vendor. We continue to provide superior service to our local wedding and event planners, as well as caterers, by offering a 20% discount. We are now extending this exciting offer for a limited time to our private clients as well. 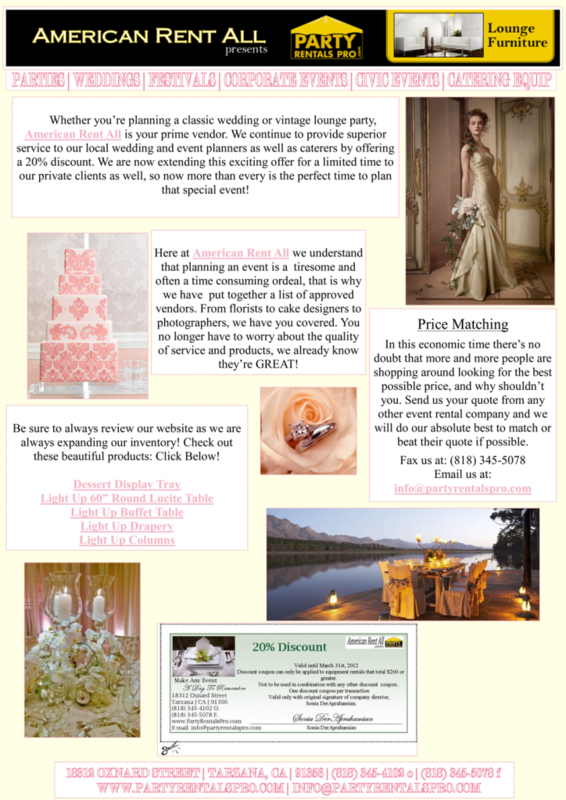 So now, more than ever, is the perfect time to plan that special event!